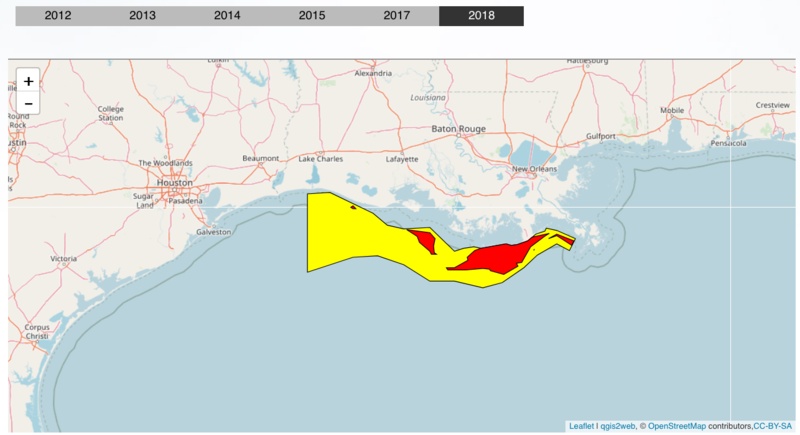 The "dead zone" in the Gulf of Mexico, an area on the seabed with too little oxygen to support fish, shrimp, crabs and other forms of marine life, is nearly the largest on record this year, about 8,000 square miles, researchers said this week. Only the churning effects of Hurricane Dolly last week, they said, prevented the dead zone from being the largest ever. 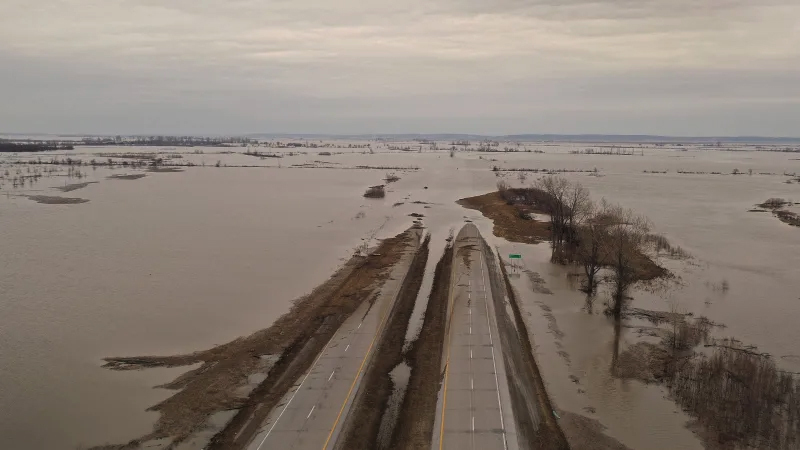 The problem of hypoxia — very low levels of dissolved oxygen — is a downstream effect of fertilizers used for agriculture in the Mississippi River watershed. Nitrogen is the major culprit, flowing into the Gulf and spurring the growth of algae. Animals called zooplankton eat the algae, excreting pellets that sink to the bottom like tiny stones. This organic matter decays in a process that depletes the water of oxygen. 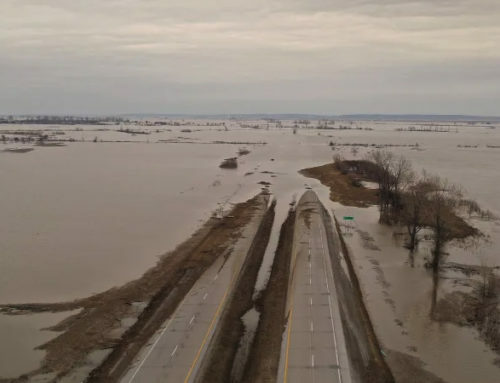 Researchers expected the dead zone to set a record — even more than the 8,500 square miles observed in 2002 — after the Mississippi, swollen with floodwaters, carried an extraordinary amount of nitrates into the Gulf, about 37 percent more than last year and the most since measuring these factors was begun in 1970. The researchers set out July 20 aboard the Pelican, a 115-foot academic research vessel, and braved 12-foot waves and 35-mph winds from the outer bands of Dolly to take samples. 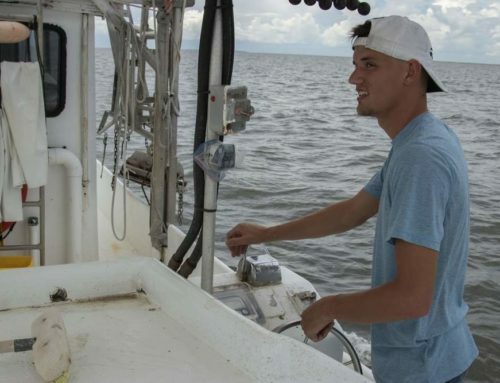 The hypoxia began to appear about halfway to the bottom in waters ranging from 10 to 130 feet deep, said Nancy Rabalais, executive director of the Louisiana Universities Marine Consortium, which conducted the study. Some water samples from the bottom of the water column showed no oxygen at all, and instead bore the signature odor of hydrogen sulfide emerging from underlying sediments. "It smells like rotten eggs," she said. "It’s really nasty." 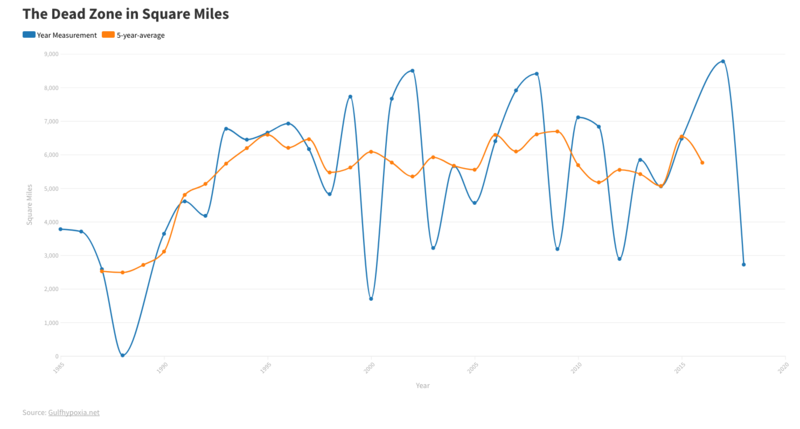 The dead zone has been known about for decades but has been studied carefully only since the mid-1980s, when Rabalais began making annual cruises in late July to measure its extent and characteristics. She said the dead zone has roughly doubled in size since 1985. 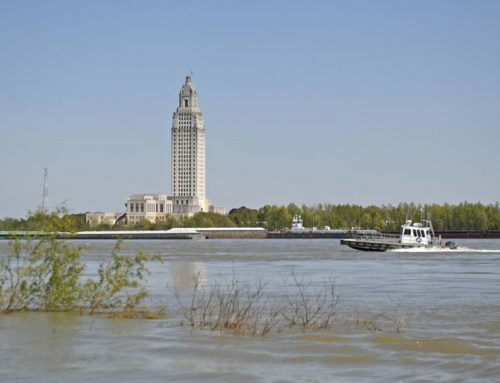 "I would think an area the size of Massachusetts where you can’t catch any fish or shrimp, that’s significant," Rabalais said. 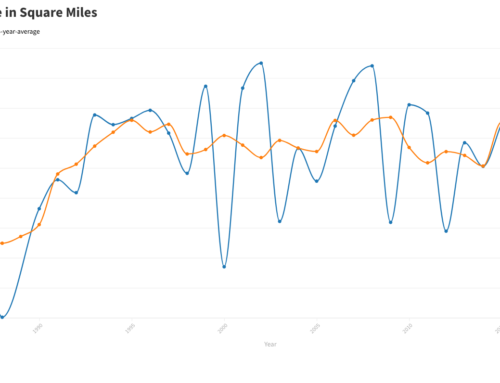 The hypoxia tends to go away after October as cooler weather slows algae growth and storms mix the waters. 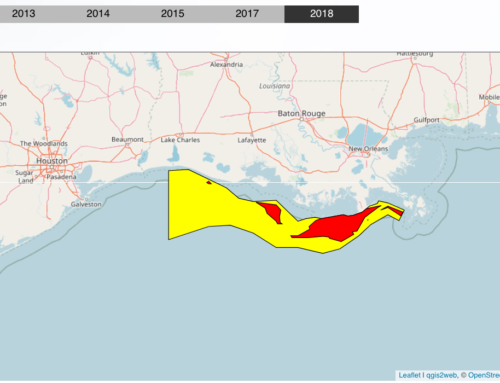 Even so, there’s a "legacy" from year to year, said Eugene Turner, a professor of coastal ecology at Louisiana State University who makes annual predictions of the size of the dead zone. Not all organic matter on the bottom decays in any given year. "For the same amount of nitrogen going in one year, you’ll get more hypoxia the next year," Turner said. He said the entire Mississippi watershed, and not merely the Gulf, is suffering the effects of agricultural runoff. About half the streams and rivers in the watershed are unsafe for swimming, drinking, recreational contact or use as drinking water, Turner said. He said a major factor is intensified corn production, which relies heavily on fertilizer. "The longer you wait to reduce the nitrogen, the harder it is to reverse course. It’s like going into debt: You have compound-interest laws, and you have to back out of that. It’s not good," he said. The dead zone snakes east to west along the Louisiana and Texas coasts, starting near the mouth of the Mississippi. 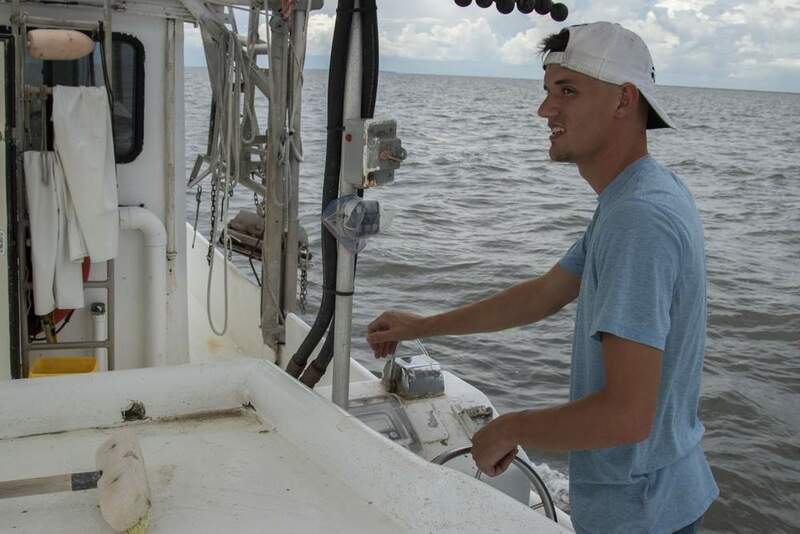 As the hypoxic region expands during the summer, commercial shrimpers and recreational fishermen have to find other areas to cast their lines and nets, typically farther out in the Gulf. "Unfortunately, what it was really showing was everything was going to the edge of the dead zone — everything that could swim and go fast enough."